Let the good times roll indeed. Perched on the mouth of the Mississippi River, historically threatened by hurricanes, fires, war yellow fever, and racial strife, New Orleans has built a city and a culture that repeatedly looks destruction in the face with laughter, music and dancing. Come to party, stay for the beautiful buildings, the rich history, and the delicious cajun cooking. • EAT: Come hungry and stay that way. Start your day with beignets and coffee, then move on to po boys or gumbo for lunch, and then oysters and crawfish and catfish and then, of course, more beignets. All found in some of the oldest restaurants in the country. • HISTORY: New Orleans history is fascinating! From its multi-ethnic origins (French, Spanish, American, African, and Caribbean), to battles, voodoo, piracy, and a rich African-American history both before and after the Civil War, New Orleans past is almost as interesting as its present, and it’s worth taking a dive in to learn more. • ENJOY THE MUSIC: Walk up Frenchmen Street. Grab a drink in one bar. Listen to music. Leave (with that drink), wander the street, listen for musicians in bars up and down the street. Find the next one you like, head on in, repeat! • LET THE GOOD TIMES ROLL: You’re heard New Orleans is a bit of a party town, right? Head down to the French Quarter in the evening… or the afternoon… or the morning... to enjoy some of the party spirit. Take a cocktail tour to try traditionally prepared absinthe or set yourself up on a 2nd floor balcony with a sazerac to enjoy while watching the people below. If you’re staying in or near the French Quarter or Downtown, there’s no reason to rent a car. Most everything is walking or a short cab (or uber) distance. Further afield sites, such as plantation homes or swamp tours, usually offer downtown pickups for an added cost. However, if you’re further afield, and if you want to check out some sites outside of the French Quarter, consider a car rental. Public Transit works on specific, limited routes. Parking in and around the French Quarter can be an expensive endeavor. There’s always a festival going on in New Orleans. Check ahead of time to see what parades you can see or be a part of while in town. There’s a couple good sites that will list festivals and events happening each weekend. WWOZ Outdoors also has a listing of Second Line and Mardi Gras festivals. Walking tours are a great way to see the city. Whether it’s neighborhood tours, cemeteries, or food, it’ll help situate you in place. For a bargain price, Free Tours by Foot doesn’t charge for the tour - just tip well! Popular tours will book up at least several days in advance. You can also download audio guides to do your own walking tour at your own pace - they’ll cost only a couple of dollars to download. New Orleans has been well covered by books, movies, TV, and more. I like seeing a bit about a place before I’m there. More light-hearted fare includes Girls Trip (sorry, no ziplines over Bourbon Street), Now You See Me and The Princess & the Frog. While it’s wildly inaccurate, American Horror Story: Coven does feature several characters and stories from the dark and twisted history of the city. The devastation and aftermath of Hurricane Katrina are covered extensively, both in heartbreaking and occasionally hilarious detail in the documentary When the Levees Broke, and later in HBO’s narrative series Treme, the latter of which focuses on music and musicians. Pack for Getting Wet - New Orleans is built, well, within a swamp. It’ll be humid and muggy in the summer, raining in the winter. Pack an umbrella. Book Ahead - Hotels and tours can book up weeks in advance. There’s a lot on offer, but if you have a specific tour in mind, reserve ahead. 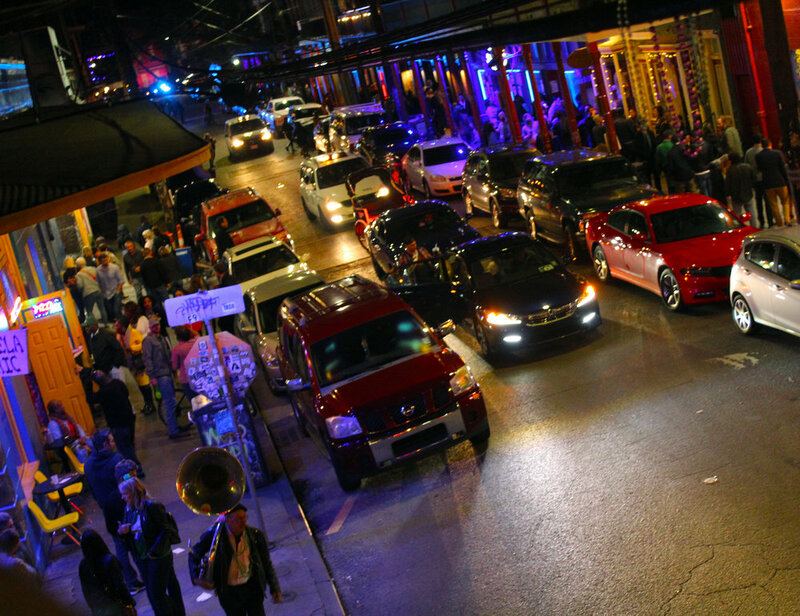 Even if you have a car, don’t drive in the French Quarter if you want to keep your sanity. Hotels can be expensive in New Orleans. Look into higher-end hostels like Auberge or Quisby if you’d like to meet fellow travelers. They’ll have group bar crawls and events to join. 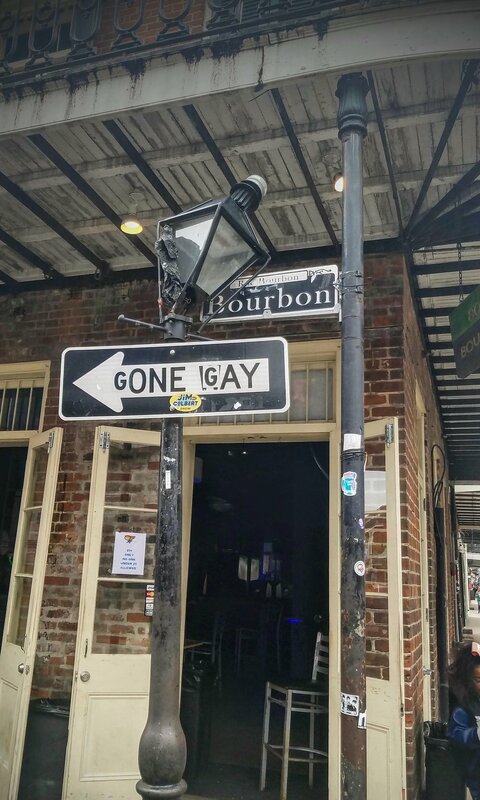 Also check into guest houses or hotels in neighborhoods adjacent to the French Quarter such as the Central Business District, The Garden District, Marigny, or Bywater. Uber and Lyft are plentiful and cheap, and the streetcar line can take you quite far, so transit needn’t be an issue. Feel free to chat up your neighbors at the bar. Or at a restaurant or cafe. New Orleanians are a friendly lot who are very proud of their city, and they’re happy to swap stories or pass along recommendations. I got very detailed directions on what to order at certain restaurants from my uber drivers. I also befriended a group of older women at the upscale restaurant Muriel’s who instructed me on what time to go to different oyster houses around the city. In short, you’re going to run into a lot of people either out for a good time or enjoying life in general, and those people could very well bring you along as they take you up to the 2nd floor balcony you had no idea even existed. Food, cocktail and historical pub tours are great ways to meet other travelers. There are dozens of tours happening each evening in New Orleans, from ghost tours to vampires. I find taking food and drink tours are good ways to meet fellow tourists and also to get a good lay of the land for future meals to come.